We use top branded materials in the market, providing you a written guarantee of quality and all in reasonable prices. Our company is based in Athens, since 2005 in the area of Neos Kosmos. From 2005 until today, we are constantly on the rise, making our services better and building trusted relationships with our customers. We are here to fully meet your needs and always delivering satisfying results. As of 19th March 2018, you will also find our new showroom in Ethniki Antistaseos 116. Agios Dimitrios. We will be happy to meet you and discuss future projects from our new place of work! 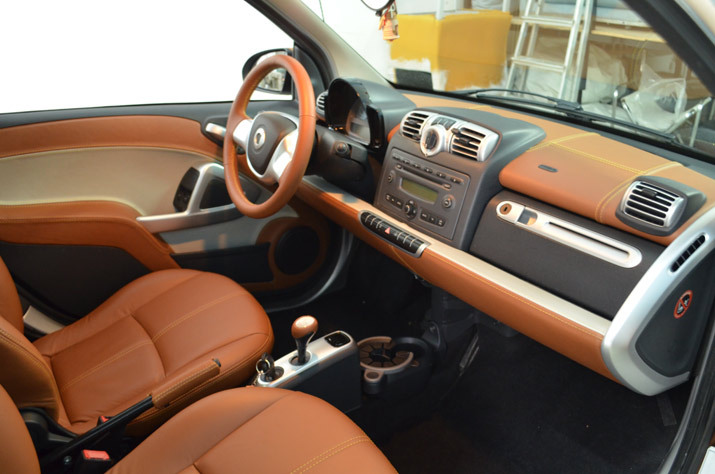 Our services include: The replacement of the old upholstery of your car seats and the car roof. We also hand-made steering wheel covers and car levers. In recent years, we have been focusing in motorcycle seat covers also. We make original motorcycle seat covers and also customize one for you according to your liking. We also have services for your yacht upholstery. We make summer and winter covers for both interior and exterior of yachts. The materials that we use are the top in the market to ensure durability. Throughout the years of operation, our company has committed to constantly evolve and make a difference in the market at all levels. Contact us daily for any inquiries that you may have. We are here answer any questions that you may have. Our company constantly work to deliver the best results for our clients.